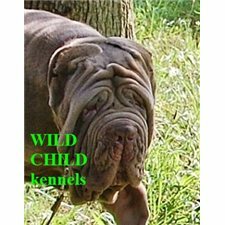 This Neapolitan Mastiff nicknamed Nerone sold and went to a new family. 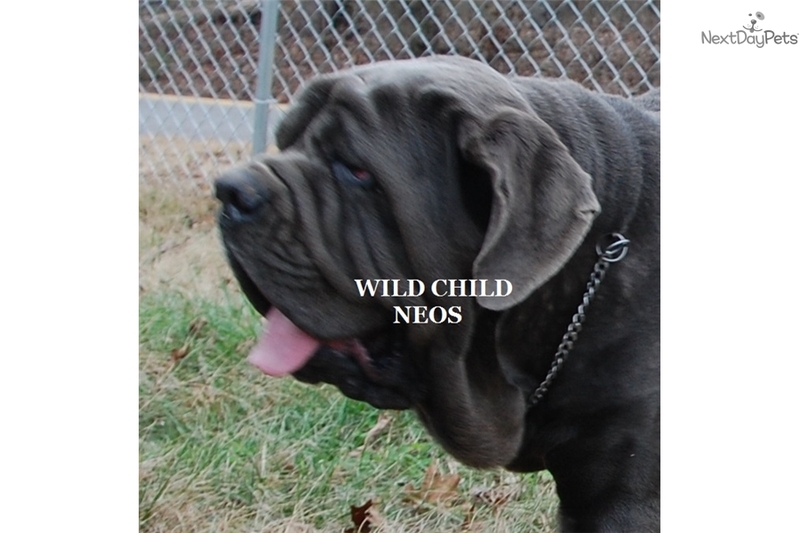 www.mastino.us We are the AKC Breeder of Merit! 615-720-7507 (please text) Gorgeous HUGE, big boned, massive adult male is for sale. Can go to the show or pet home. ~The male has big beautiful wrinkled head, healthy, strong, muscled, great rear angles, topline, strong pasterns, healthy eyes, healthy clean skin (no allergies). He comes from heavy 200-220 lbs strong physically mastini background (see dogs on our site), grandson to 3 times World champion Remo de azzurra (atimana and trofeo Mario Querci winner); shipping is possible if needed. We breed big sized heavy dogs, no minuature types, our smallest males are at least 175 lbs. Must be approved. We have other blue male as well, one of these two males can go. Price shown if goes without breeding rights, for details with full rights please contact.